Continuum Home Health prides itself on the quality of its nursing, rehabilitation, social work and home care staff, which is comprised of more than 70 women and men representing a wide range of ages, races and backgrounds. The company has a high retention rate, and many employees have been with Continuum Home Health and its sister organization, Continuum of Care, for more than a decade . All the home health care services you need. Not only will our staff work with you, your family and your physician to provide the care you need, our employees will help you and your family to navigate the complicated world of insurance and managed care. 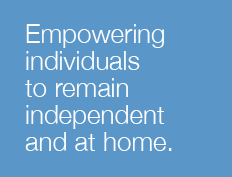 Every effort is made to match patients with the home health care professionals who are best qualified to assist them. Working in a spirit of collaboration, our home health care professionals are dedicated to providing expert and efficient patient care that is performed in a compassionate, kind and friendly manner. From our assessment professionals through our home health care and social worker teams, our employees will always treat you and your family with dignity and respect. Our home health care staff members undergo extensive background checks, including employment history, reference checks, criminal background screening, driving records and screening for drug use. In addition, all home care staff members are assigned a supervisor, who performs regular co-visits along with occasional unannounced visits. Home health care from Continuum Home Health is available daily from 7 am to 9 pm. Staff are on call 24 hours a day, seven days a week. In addition, a variety of emergency procedures are in place, including a plan for inclement weather. You can count on your care providers to be prompt for all scheduled appointments, or they will call to let you know if they will be late. 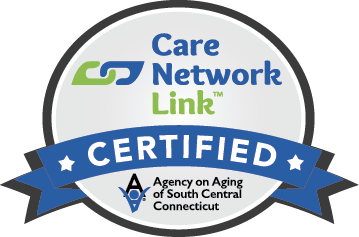 Continuum Home Health serves the following Connecticut locations: New Haven, West Haven, East Haven, Branford, Guilford, Madison, North Branford, North Haven, Hamden, Wallingford, Meriden, Cheshire, Bethany, Woodbridge, Orange, Milford, Seymour, Shelton, Bridgeport, Waterbury, Prospect, Naugatuck, Beacon Falls, Ansonia, Derby. Thank you for requesting a Home Health Consultation. We will respond to your request promptly.